Earlier today, we reported on the launch of ElectroArrives.com, a viral site tied to the release of The Amazing Spider-Man 2. Currently, the site is counting down for some kind of event or reveal in just under 20 days, and like the trailer for the film, it shows Harry Osborn working on the super-high-tech touchscreen computer at Oscorp. Also just like the trailer, there are secrets to be had, there. 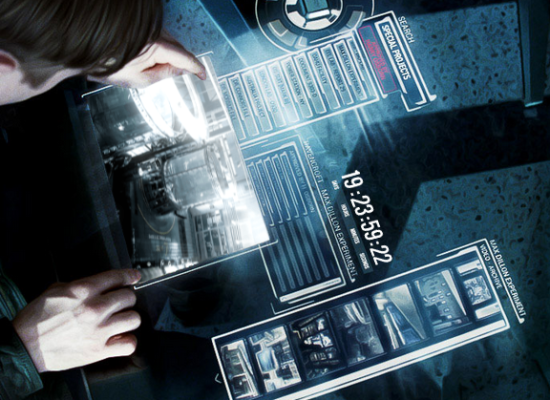 Most of the labels are things we've seen before--power stations in New York and Oscorp facilities in London, Australia and Oahu. But then, toward the bottom, there are the files on Dr. Kurt Connors--The Lizard, the first film's villain--marked as the "Dr. Connors File." Beneath that, almost obscured by the video of Electro's "birth" in the eel tank, is a similar folder titled "Dr. Morbius File." In the comics, Morbius is an anti-hero who first appeared as a straight villain in 1971. 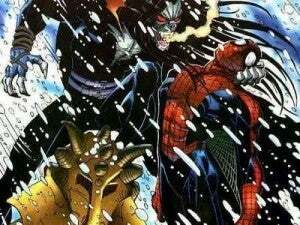 A scientist whose experiments backfired and transformed him into a vampire, he's found himself squaring off against Spider-Man, Blade and others over the years. He's also one of those rare villains that has made a crossover to working as a hero and has found himself the title character in his own stories--or even his own title--pretty often over the course of his existence. Nevertheless, like Deathstroke the Terminator, he always seems to eventually end up on the side of the villains again, whether it's hunting Blade following the events of Civil War or turning on his former allies when he loses control of his vampiric side. Seems, almost, like a perfect candidate for a spinoff film in the vein of The Hulk.